One of my fondest childhood memories is making chocolate suckers with my mother using plastic molds. She was very intricate with detailing and made sure I was meticulous with creating the suckers as well. I enjoyed the quality time with my mother, making the suckers, but the molds were made of flimsy plastic. They were hard to wash and would crack after just a few uses. HABA, a manufacturer of high-quality toys, games and room décor, is feeding the dinosaur craze with themed toys, games, and treats. 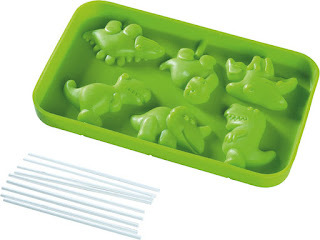 One of those is the Dinosaur Parade Silicone Chocolate Lollipops Mold. Six edible dinosaurs can be simply created. The lollipop sticks do not come with the mold. They can be purchased at almost any craft supply store. 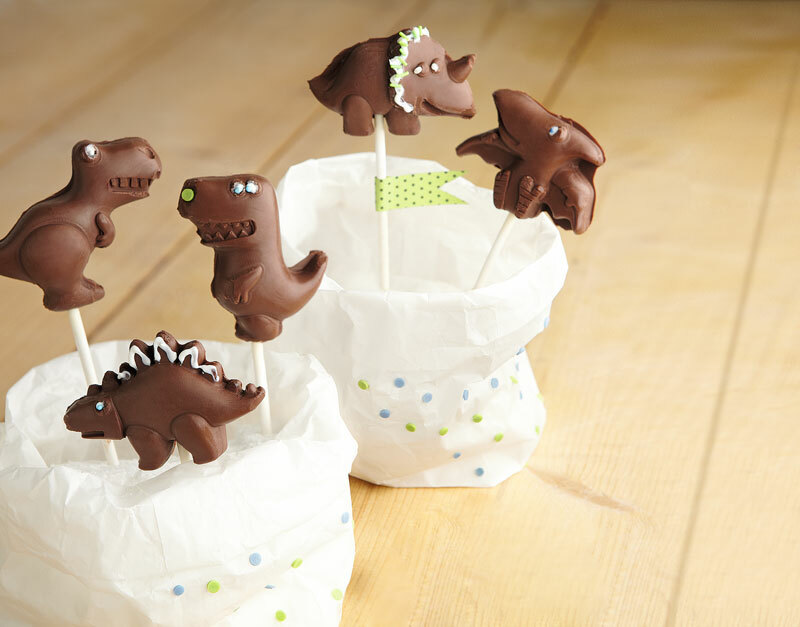 I've created edible lollipops by pouring melted chocolate almond bark into the dinosaur shapes on the mold, then setting them in the fridge to harden. They've been a big hit with my nieces and nephews. The mold allows me to make super easy and cute dinosaur-shaped lollipops. This is the first I've used a silicone mold and I like it much, much better than the flimsy plastic material. 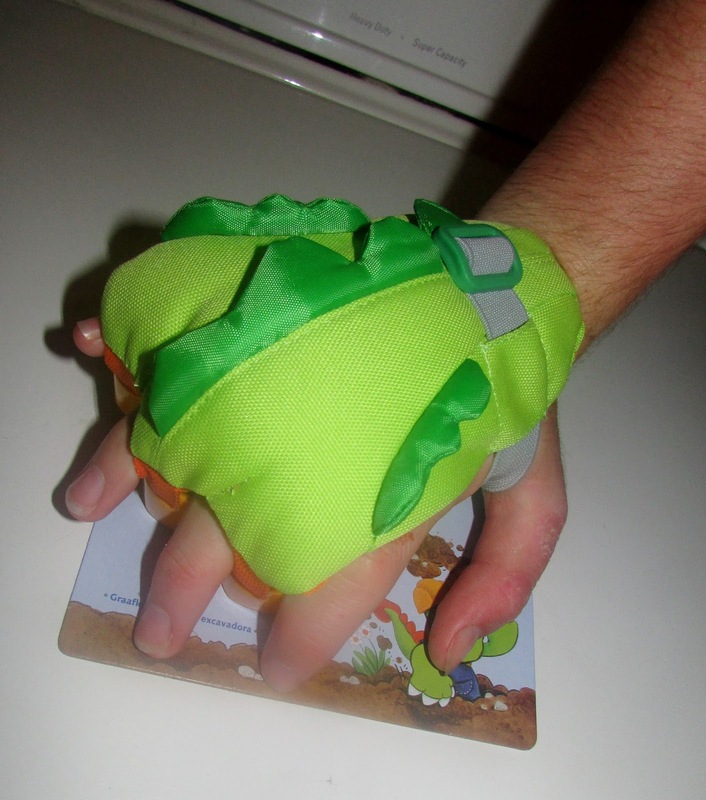 Another dinosaur-themed item by HABA is the Digging Claw. Designed to resemble the claw of a dinosaur, children can put it on and dig in the sand. I suppose they could dig in the dirt with it too but that might make it stain. The Digging Claw slips over a person's hand and fits like a glove, with spacers for the fingers. A Velcro strap allows for adjustment and good fit. The Digging Claw can fit up to a small adult hand. Digging in the sand is fun as it is. Using the Digging Claw makes it more fun. What is your child's favorite dinosaur? Have you ever purchased from HABA? That's so fun! Especially since Jurassic World came out. T-Rex is always a favorite. Those are cute little molds! If I had boys, I'd be all over them!